Hey everybody! 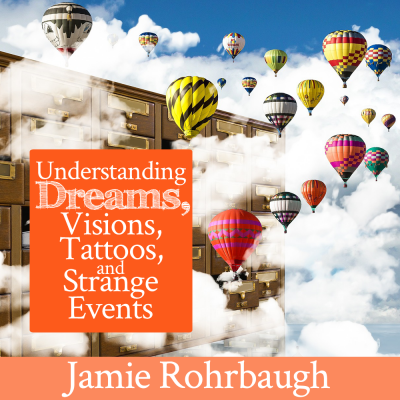 We’ve been talking about dreams and visions this week, and I’m so excited to offer some additional dream interpretation resources today! God loves to speak in symbols and pictures … and it’s vital to understand what He is saying when He does! “My Dream Dictionary” is not pre-filled with interpretation information; it is a resource for YOU. This booklet provides you with a convenient place to record the meanings of symbols that you discover on your own, both in the Bible and in your own personal dream language. For one week, I’ll offer today’s bundle (weeks 2, 3, and 4) at the 25% off. The regular price is $15 for the bundle. You can get 25% off that by entering the code “dreams” at checkout. Father God knows you intimately. He knows what you love and what you hate. He knows what will speak directly to your heart. And in His role as the Dream Giver, He acts like a movie producer who is producing a movie just for you! That means He will speak to you in language that is meaningful to you! My husband is very interested in science. So, he has lots of dreams in which God uses science-related symbols. I love wildlife. Some of my most meaningful dreams have been about wildlife. You may love horses. If so, God is likely to speak to you in dreams about horses. He’ll use what you love–horses, in this case–to teach you deep life lessons and reach directly into your spirit. 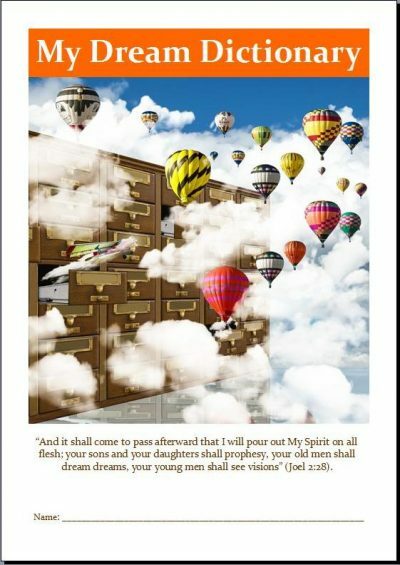 God will also speak to you about things that aren’t in the Bible, using your own personal dream language. If something is in the Bible, use the Biblical meaning. However, many things are too modern to be in the Bible! For example, if you have a dream about your grandma’s classic Chevrolet Bel Air, you can’t exactly look up Matthew 6 to find out what classic Chevys mean. You can find dream-interpretation principles in the Bible, but not classic Chevys. Well, you look at what it means to you. You ask the Holy Spirit to show you what is special about this classic Chevy. Which aspects of this symbol are important to this dream? And when you do that, He will usually flood you with special revelation about your special symbol, and what it means to Him. One of the meanings of red is “maturity.” Maybe God is speaking to you and letting you know you’re more mature than you think you are! Also, since this example is about your grandma‘s classic Chevy, maybe God might tell you that He’s entrusting you to carry wisdom from the ancient paths of Scripture. 🙂 He could also tell you that part of your ministry is to carry crazy amounts of love, since you loved your grandma so very much! Furthermore, maybe this Chevy has a white top. One of the meanings of white is “purity.” Maybe God will speak to your heart that He has crowned you with purity, and He has removed the shame and reproach of your past! Then the car is a Bel Air. Maybe God will tell you that you have an open heaven above you, and you carry the atmosphere of His presence and glory upon you! See how the Lord can speak to you in many different ways, using a symbol that is special and unique to you? Okay, folks! I’m so excited to offer these teaching resources to you today, and I can’t wait to hear from you about how you begin to understand and hear God better using dreams and visions. God speaks all the time, and pictures/symbols are one of the biggest ways He speaks. As you begin studying His symbolic language, you are going to be blessed beyond belief!